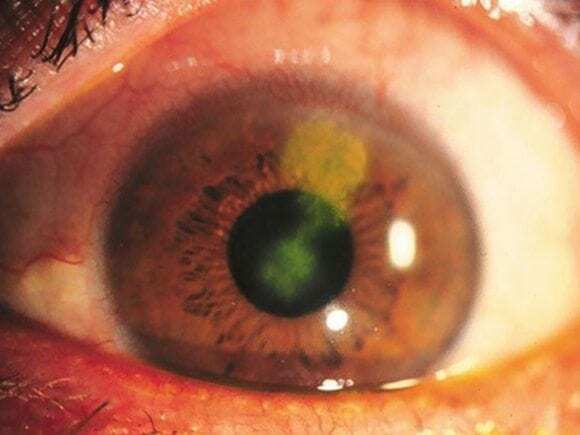 A 24 year-old medical student presents to the emergency department with 2 days of superficial left eye pain, mild redness, tearing and mild photophobia. She has a history of cold sores and has been stressed out by exams recently. Prior to applying topical anesthesia, you checked corneal sensation, which was decreased. The slit lamp shows a dendritic ulcer — classically this a thin, linear, branching epithelial ulceration with club-shaped terminal bulbs at the end of each branch. Q2. What is the differential diagnosis of this type of lesion? Q3. What should be assessed on history? Q4. 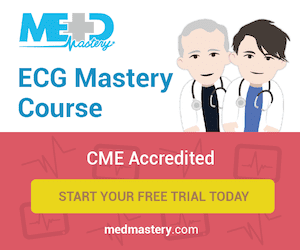 What features should be assessed on examination? Visual acuity — may be reduced due to a central corneal ulcer or tearing. Conjunctiva: acute unilateral follicular conjunctivitis +/- conjunctival dendrites +/- geographic ulcers. Cornea: dendritic keratitis — edges stain with rose bengal, central ulcer stains with fluorescein. Q5. What is the appropriate investigation and management? The diagnosis is usually made clinically — although scrapings/ swabs of lesions may be used for confimation by viral culture. Ophthalmology referral for assessment the next day. Start treatment with topical antivirals. If corneal stromal disease or complications are present an ophthalmologist may initiate treatment with topical steroids and/ or systemic antivirals. 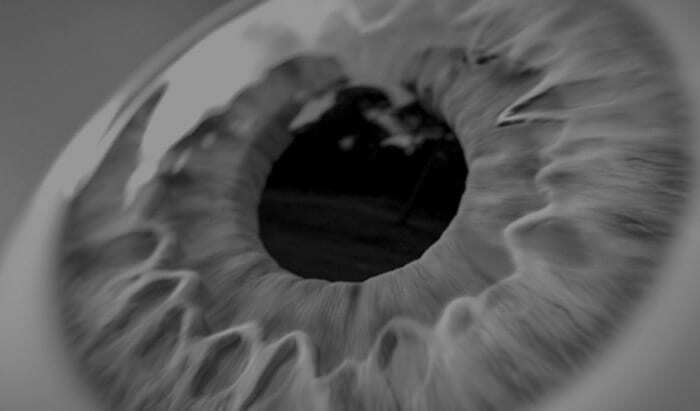 Sometimes corneal debridement is required. Q7. What should be suspected if the lesion fails to resolve over 2-3 weeks?